While Star Trek has remained a present property in the pop culture pantheon thanks to the rebooted Chris Pine-led film series, it has been 12 years since Gene Roddenberry’s creation has been on the small-screen, its format of origin. 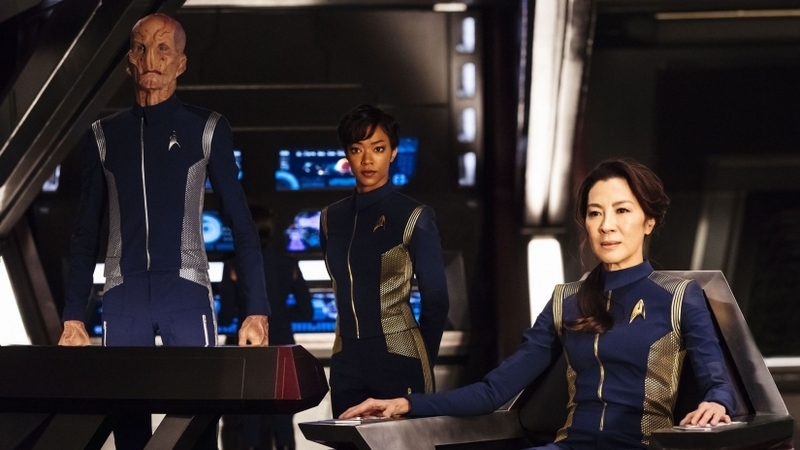 With renewed public interest and a rise in multiple platforms for production and consumption of TV, it seemed only a matter of time before Starfleet returned to television, and it’s not surprising to see Netflix be the ones to bring it to our various devices (CBS Access are responsible State-side, Netflix international). Does this new series have what it takes to boldly go and stand shoulder to shoulder with the very best of Trek TV? On the evidence of the first three episodes, the future is looking bright for this Trek and her crew. The first two episodes, The Vulcan Hello and Battle at the Binary Stars, operate as almost a two-part prequel to the main event, as it introduces us to Sonequa Martin-Green’s Michael, a human raised by Vulcans and First Officer aboard the USS Shenzhou under Captain Georgiou (Michelle Yeoh). When their vessel comes face to face with Klingons, the first time any Starfleet vessel has come across the volatile alien race for many years, First Officer and Captain clash over the correct course of action, leading to a stand-off with the Klingons that results in tragedy and the establishment of a Cold War between the United Klingon Clans and the Starfleet Federation. These first two episodes initially are very clunky when it comes to establishing the crew of the Shenzhou, ladling exposition in a somewhat un-sophisticated manner. Once it is has the characters and their situation established though, the show begins to shift into something which feels engaging and, perhaps most importantly, fresh to Trek. This is particularly the case with the new lead character Michael. Her mix of human and Vulcan heritage may not be entirely new to Trek, but her human temperament and position within Starfleet brings to light a very different model of First officer that we are used to in Trek. Behind the veneer of Vulcan-raised logical, Michael exhibits a drive that is more fuelled by anger and passion than we are used to seeing on the Bridge of a Starfleet vessel. Her fierce intelligence makes her even more of a force to be reckoned with. It means that our main character in this series is wildly unpredictable leading to moments of genuine shock and surprise. Martin-Green makes for a compelling lead, combining ingenuity with a fiery passion and great levels of charisma. Michael’s actions on the bridge of the Shenzhou leads to an unfortunate set of circumstances (I know I’ve said there are spoilers here, but I’ll keep some things shrouded because otherwise where’s the fun? ), circumstances which see Michael make her way aboard the eponymous Discovery in episode three, Context is for Kings. It is within this episode that we begin to see dynamics form that we can assume will come to bear quite heavily throughout the series. We have Doug Jones’s alien Saru, whose personal past with Michael has made him come to both greatly admire and cautiously fear her, while rookie cadet Sylvia (Mary Wiseman) and science officer Stamets (Anthony Rapp) have a certain opinion of her based on gossip and hearsay. There is also the Captain of the Discovery, Lorca (Jason Isaacs), who appears to be a much murkier and less clean-cut Captain that we have come to expect from the Trek universe. It is within the bending of these familiar elements that Discovery shows its strengths as a show that looks set to pay heed to the legacy of Star Trek all the while trying to do something fresh and inventive with ingredients that may have begun to become a bit stale. Fans can gripe about the re-designed costumes and Klingons all they like (and to be fair, the Klingons do look like Buffy vampire rejects), but there is no denying the sense of ambition behind these first three episodes to deliver a Star Trek series which isn’t what people expect. It is exciting, incredibly colourful in design, and adventurous, whilst also presenting ethical and moral dilemmas in a fashion that harks back to 90’s Trek television. It is a bold vision, and a journey across the stars that I am certainly looking forward to continuing. 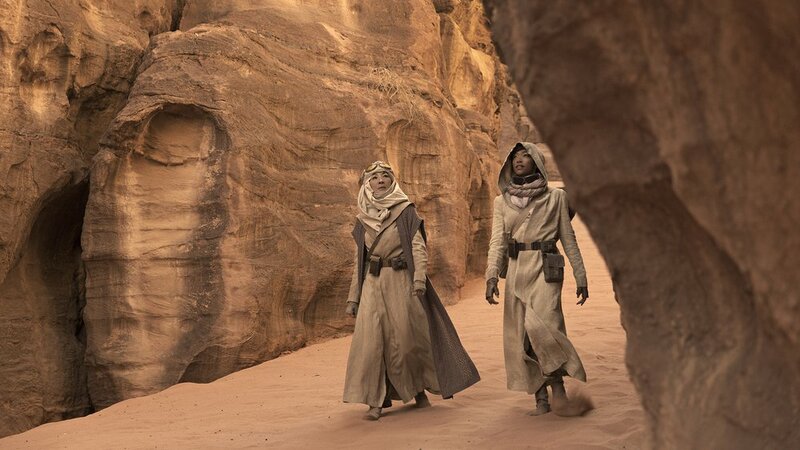 The first three episodes of Star Trek: Discovery are currently available to stream on Netflix, with a new episode arriving every Monday.